A township is the most local and oldest form of organized government in the United States. This form of government stared with the earliest American settlers in the mid-1600’s responding to oppressive, centralized governments from which many had fled. Seeking greater freedom, these settlers formed a simple government with more direct control in decisions affecting the community where they elected “selectmen” to ensure decisions made at town meetings were accomplished. This early form of township government, which existed for 140 years before the signing of the Declaration of Independence, played a significant role in the development of democracy in America where 38 of the 56 signers had the township government experience that “government should derive its just powers from the consent of the governed”. In Pennsylvania, a township is contained within a county and distinct from cities and boroughs. Townships vary in size from six to forty square miles (Milford Township is 28.32 square miles). Milford Township is a second class township created by the Commonwealth of Pennsylvania through the Second Class Township Code. The “class” of a township is not a matter of prestige but of population density. When there is a density of 300 inhabitants per square mile, voters can approve the change of classification in a referendum. 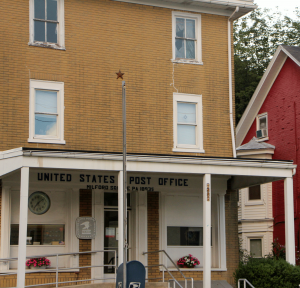 Many townships like Milford meet the density requirement but remain second class, the most popular form of government in the Commonwealth representing more Pennsylvanians than any other form of government.